Home Disney Tips	Volunteering with Pajama Pals for Disney’s Give a Day Get a Day! Jerry and I are participating in the Give a Day: Get a Day program through Disney for our upcoming Florida vacation. Through this program, we agree to volunteer with a local organization in whatever capacity needed. Well, we were accepted by Pajama Pals and I am so excited! 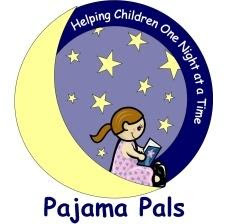 Over the next couple weeks, we will be doing a Pajama and Book drive to collect PJs and books for children in need! It’s an awesome non-profit program to give these kids some basic essentials that we often take for granted. And another really great thing about this program is that it will be helping out kids right here in North Carolina! We will be collecting NEW Pajamas (with tags) and new or gently used children’s books. Sizes range from infants to adult xxl. We would love to bless the socks off this organization and more importantly, these kids! Please let me know if you would like to donate and I will arrange a time to pick-up or send you our mailing address. Stopping by to say Hi from Follow Friday! Now following you and would love a follow back! Here to follow you for Friday Follow! :)Hope you're having a great day! This sounds like a great program! Stopping by from FF. Hi, found your great blog through Follow Me Friday. I'm now following! Happy Weekend!